I have always been a keen sportsman and I have taken great pride in keeping myself as fit and healthy as possible. Although rugby dominated my early sporting years through school and then with Felinfoel RFC, I was also a keen golfer, enjoyed swimming and in 1982 at the age of 14 I took part in the Cardiff Western Mail Marathon. The mid eighties saw the boom in road races and especially 10km Fun Run’s and Half Marathon’s which I enjoyed taking part in. Triathlon was also being introduced into Great Britain and I participated in my first ever Triathlon in Brecon in 1989. I have been fortunate enough to race every year since on the Triathlon circuit across the Country and abroad and can proudly boast to have completed EIGHT Ironman Challenges with the latest one being Austria 2018. As we entered a new Millennium I decided it was time to put something back into the sport which I had taken so much enjoyment and pleasure from competing in over the years and continue to do so. I was also keen to encourage children to take up the sport of Triathlon and to also provide a platform for adults of all ages and abilities to participate in events that would encourage them to lead a healthy lifestyle. I have always believed that it’s easier to train for an event or a new challenge and to have that as a motivator to encourage you to get those trainers on and keep fit. Over the years I have been supported by a dedicated team of family members, friends and volunteers, together we have organised 130 races over the last 18 years. These races have attracted thousands of runners/ triathletes and have helped raise thousands of pounds for various charities and local Community groups. 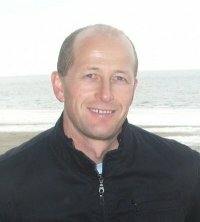 As Chairman of Clwb Triathlon Llanelli I organised races between 2001 – 2010. In 2011 I decided to establish a Non profit organisation called Healthy Life Activities / Gweithgareddau Bywyd Iach to ensure that the events continued to be organised in Carmarthenshire. With 30 years experience of taking part in 5K’s 10k’s and Half Marathon’s and Triathlon since 1989, Healthy Life Acttivities is now the largest and most diverse Non-Profit events management organisation in the Country and we can ensure that all the races organised are done so from the perspective of the Athlete.